William McNaughton was the founding teacher of Chinese at Oberlin College. From 1986 he taught at Hong Kongâ€™s City University, where he was the founding program leader of the BA (Honors) program in Translation and Interpretation. This is a compete and easyâ€“toâ€“use guide for reading and writing traditional Chinese characters. Reading and Writing Chinese has been the leading text for foreign students and teachers of the Chinese writing system since it was first published. This completely revised edition draws on the lessons learnt from the use of the book in classrooms so as to provide a more convenient and upâ€“toâ€“date introduction to written Chinese. Over 1,100 new combinations of characters have been added, increasing the total vocabulary significantly to about 4,500 items. There are also new notes on usage to give students insight into the contemporary state of the Chinese language. 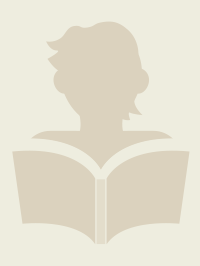 The student's ability to read Chinese and write Chinese are reinforced throughout. For each of the basic 1,062 characters, the pronunciation, definition and derivation are given, with examples of the use of most words and a chart showing how to write each character. 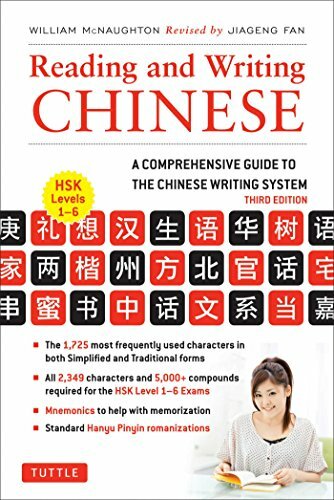 Memorization tips and cautionary crossâ€“reference to lookâ€“alike characters are also provided, as well as notes to help clarify those overlooked aspects of the Chinese writing system. The Student's 1,020 List and the Official 2,000 List. Over 2,000 characters and 4,500 vocabulary items. Memorization hints and strokeâ€“order diagrams. Hong Kong/Taiwan and China/Singapore forms. Traditional and modern radical systems.